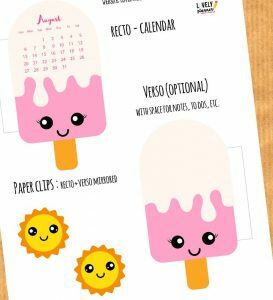 It’s time to discover the new printable buddy I’ve prepared for August: Ice Cream Calendar Divider! 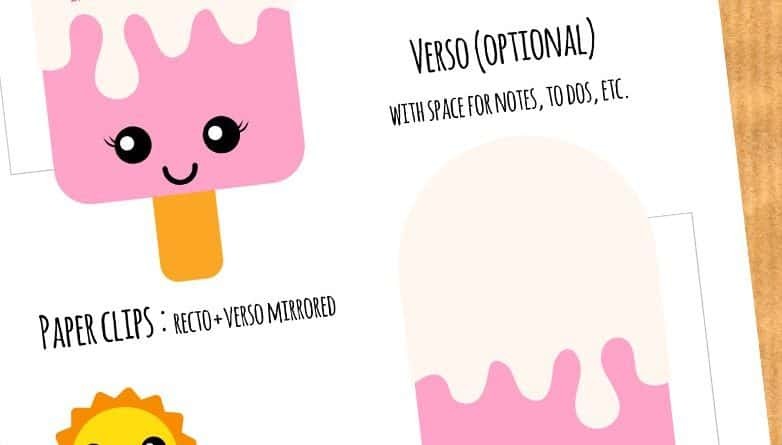 A cute ice cream seemed like the perfect way to keep the summer vibes alive in my planner! I apologize because I have a lot going on right now and so I haven’t been able to take pictures yet for this month’s printable to illustrate this article properly but if you have a doubt about how it is supposed to look once assembled at the end, have a look at my previous months calendar divider articles 🙂 Instructions are also detailed down below in the article! 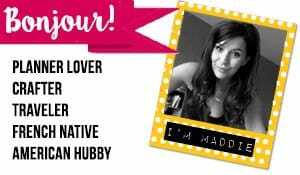 Let me know what you think about this month’s calendar divider guys! That means that you can actually have the mirrored lion on the back of your calendar. Glue both sides together before laminating it and punching holes in it! 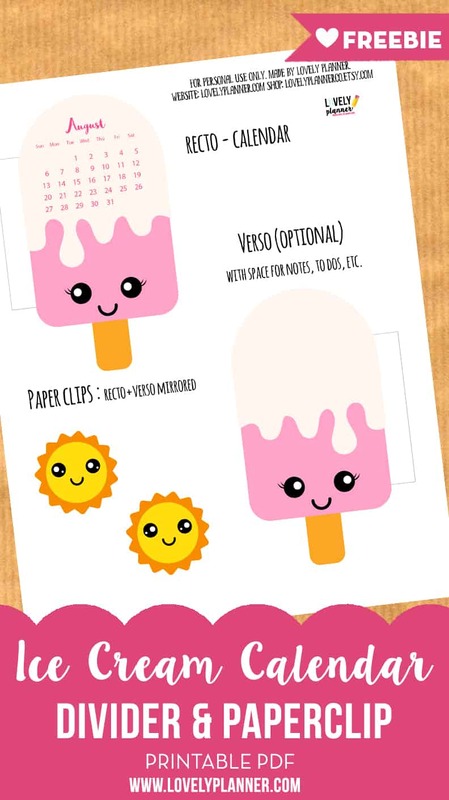 I first noticed this type of calendar divider idea on one of @brunella_bi instagram post and now I’m hooked! Love your monthly calendars. Both ice cream and sun are perfect for this summer heat. Thank you so much! Hi, just wanted to say thank you for sharing these lovely planner goodies.